It’s been an interesting week. First off, put a little hatch mark under There is a Higher Order in the Universe. I know, what? What am I saying? Me the atheist/agnostic? I’m saying that you can just put one notch in the belt of those who buy all that abundance theory and stuff. Wha? Wha? Hardened East Coast cynic – moi – getting all woo-hoo now? My point is, Readers, that no sooner did I write that I wanted paying work than I got some. Yes. I sent my message out There, into the Universe, and something came back to me. Okay, sure, it involved networking, a very earthly pursuit, not at all woo-woo. But whatever. That’s the fine print, and let’s just not read it. I’m lilting upwards. I have a short writing project, and if I do it well, I might get more from this company. Meanwhile, I also got a tip from a friend about a great networking contact and I’ve sent out a message to him. So. Okay, second of all, in pursuit of French style – and, let’s be frank, eternal youth – I’ve gone part way down a strange rabbit hole. The rabbit hole of cosmetic enhancement. Actually, I’m not after eternal youth. Truly. I’m more interested in eternal 40. You know, just basically looking about 40 for the next, oh, thirty years. Premature aging. Premature aging? I stared at this esthetician with unblemished skin, part of me crushed. I hadn’t thought I had premature aging, just regular old run-of-the-mill aging. Maybe even a little behind schedule, if I’m honest about how I felt before I went in there. I went in thinking about maintaining what I have now – thus, facials, and maybe a cream or two – and now I’m wondering how I’ve managed to hold my head up with any pride at all, due to my PREMATURE AGING. So part of me was crushed, but part of me realized that, of course, this free consultation is a sales pitch. Therefore, triggering my insecurities was a necessary part of the deal. I did not succumb. I made an appointment for a facial. She was booked into early June, which is good. I have time to reconsider. I left with several samples of lovely French cleansers and creams and eye gels. The French may not get facelifts, but let me tell you, they use a lot of creams, and they get a lot of injections. I know. I’ve done a lot of reading on the subject. And to spending too much time staring at my face. 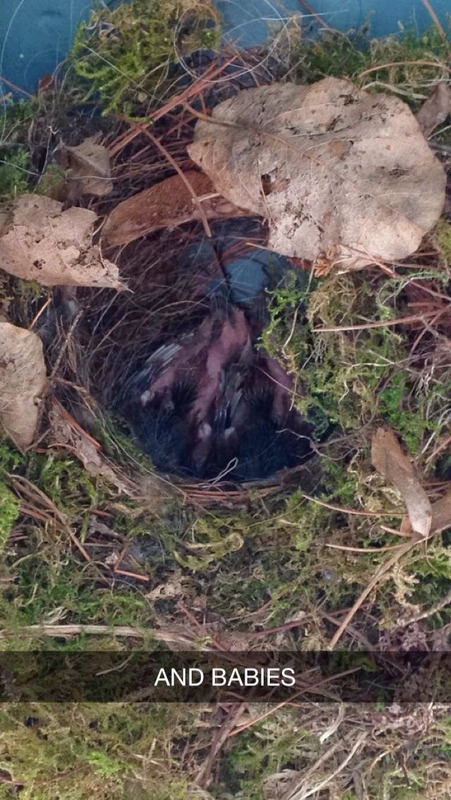 occasion - the eggs hatched in the nest on our little side porch, and the bird babies flew away. The tenth grader took some pictures, because she has a few inches on me and could get a better angle. I feel inordinately proud of this natural unfolding, although it had nothing to do with me. 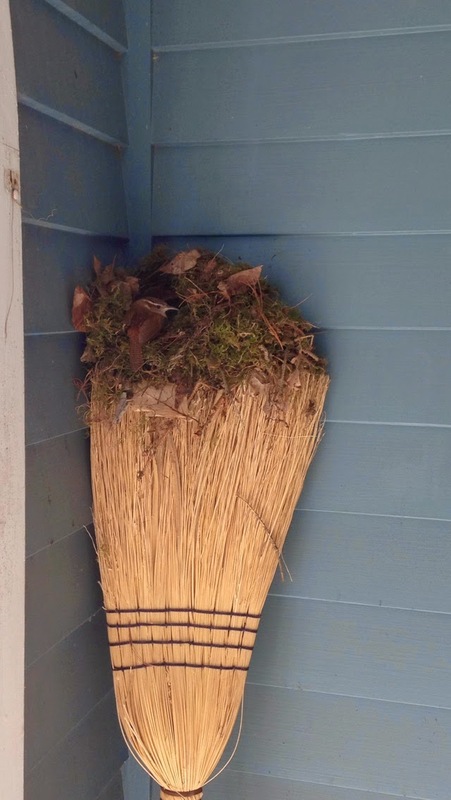 I was all too happy to forgo using the broom. I guess I’ll get to that this weekend. I don’t have any procedures planned. *By the way, the Pilates workouts are available on The Balanced Life.